March 1982 and Brian Eno releases the final masterpiece from his Ambient Series. At the time, I hadn’t heard any of the previous three albums, Music For Airports, The Plateaux of Mirror (with Harold Budd) and Day of Radiance by Laraaji (which Eno produced). So this was a new step for me… Ofcourse, I was listening to Tangerine Dream, Kraftwerk etc, so was aware of a more Kosmiche side to music (although I was not yet familiar with his work as Harmonia and with Cluster). But On Land was different and always will be. Eno regards the music as “environmental” as written on the sleevenotes. This was so obvious as soon as I heard Lizard Point the first piece. Whatever these highly personal places and titles were to Eno remained a mystery to me until the advent of the internet. But this didn’t stop me from being transported to foggy beaches, the sounds of insects and wind, the sound of fishing boats bells muffled in the distance (to reappear on The Ship). I made them my own foggy place. I did read somewhere that Eno had designed the Ambient series to be played at low volume, barely audible, so as to be complimented by the environment. Without a doubt, On Land fulfills that role, but you could say that about a lot of music. Also, I refuse to allow a musician to dictate to me how their music should be listened to. Ofcourse I’ll give their recommendations a go, but I play On Land how I want to. You could currently label On Land as “Dark Ambient” or “Drone” as this is where you’ll find it in Music Streaming/Download sites. I personally find this a little unfair, there is so much going on with so much depth. On Land is an aural halluciogen. I first bought On Land on cassette, unknowingly the complete album was recorded on both sides. Which was great as I had a cassette deck that auto reversed. Many a night having drifted to an imaginary sea scape, awaking the following morning and the music still trying to drag me back to it’s depths. Eno knew that his work was to be listened to as one piece and that is why a C90 Tape was the obvious choice. The following year my mother bought me the Working Backwards Vinyl Box Set. This was my immersive dive into the world of Brian Eno. I felt more comfortable with his instrumental work. Unfortunately, the mastering and pressing quality of the vinyl on working Backwards is notoriously appaling, to the point that I preferred to continue to listen to my tape copy of On Land. Ofcourse, the advent of Compact Disc changed all that. Now apart from being an iconic song, the depth of production on this track is stunning and I must have subconciously (at a young age) realised this. The sound out of the Ambient Speaker System was amazing, where the hell were all the sounds coming from? There was nothing wrong with my existing pair of Akai SWT77’s, they were large, loud and more than did what I wanted them to. The thing with the Ambient Speaker System is that the third speaker plays anything that isn’t common with both speakers in the original stereo field. So, if you play something in mono, you will hear nothingcoming out of the third speaker. Switch the balance to the left or right and then it will come out of the third speaker. Simple eh? Now add stereo and forthcoming audio advances (Dolby Surround hadn’t been invented quite yet) and you’ve got something really interesting, A form of stereo in every part of the room (sort of). However, I have for many years been using a three-way speaker system that is both simple to install and inexpensive, and which seems to work very well on any music with a broad stereo image. The effect is subtle but definite - it opens out the music and seems to enlarge the room acoustically. In addition to a normal stereo hifi system all that is required is one extra loudspeaker and some speaker cable. The usage of this speaker in the three-way system is such that it will not be required to handle very low frequencies: therefore a small or "mini" speaker will be adequate. As shown in the diagram, the two terminals of the new speaker are connected to the two positive (red) speaker connectors on the amplifier. This speaker is located somewhere behind the listener - at the apex of a triangle whose base is formed by the original loudspeaker set-up. One of the unexpected benefits of this system is an increase in the usable listening area - almost any point in the room will yield good (although not necessarily "accurate") stereo sound. I arrived at this system by accident, and I don't really know why it works. What seems to happen is that the third speaker reproduces any sound that is not common to both sides of the stereo - i.e., everything that is not located centrally in the stereo image - and I assume that this is because the common information is put out of phase with itself and cancels out. So, as I left home, I found that it wasn’t always possbile to “Apex” place the third speaker and subsequently was finding it more irritating than not. As it now stands, it is under my sofa in the “Apex” seat and performs very well when watching the occasional film!! A few years ago, I decided to upgrade my Amplifier to an Audio Innovations Series 300 Valve Amp. Old school yet beautiful sounds, you could cook an egg on it though and that was the problem. 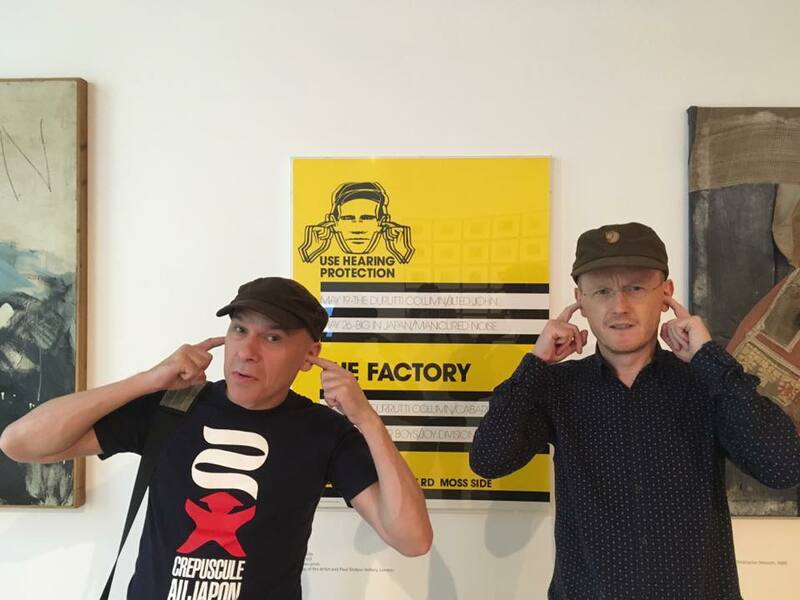 One night, Pat “Cruise” Miller and myself were listening to something (I forget what…probably New Orders, Music Complete Album) and after a little bang, everything went Tutti Fruitti so to speak. There was a load of glowing valves and a smell of burning. Anyway, disaster was averted, but when I took the Amp in to be repaired and explained the set up…. Peter Hay (the record player man) looked at me in aghast and said I was lucky to be alive. Indeed, the error of my ways was made very clear and indeed, Eno does state, there is a potential for disaster depending on what sort of Amplification system you use. Unfortunately, I never got the Audio Innovations Amp back, those valves were fucked like a duck (Mallards actually) and you can’t get them anymore.!! Anyway, I berated BENO on social media and suggested that because I was such a big fan and that it was his fault he had nearly killed Cruise and Ring Modulator and left me minus £600 worth of Amplifier, he should agree to supply me with all further recorded work free of charge. Unfortunately, Mr BENO decided his cat was more important than my disaster, so I have continued to feed his cat via the financial contributions to his musicial outputs. 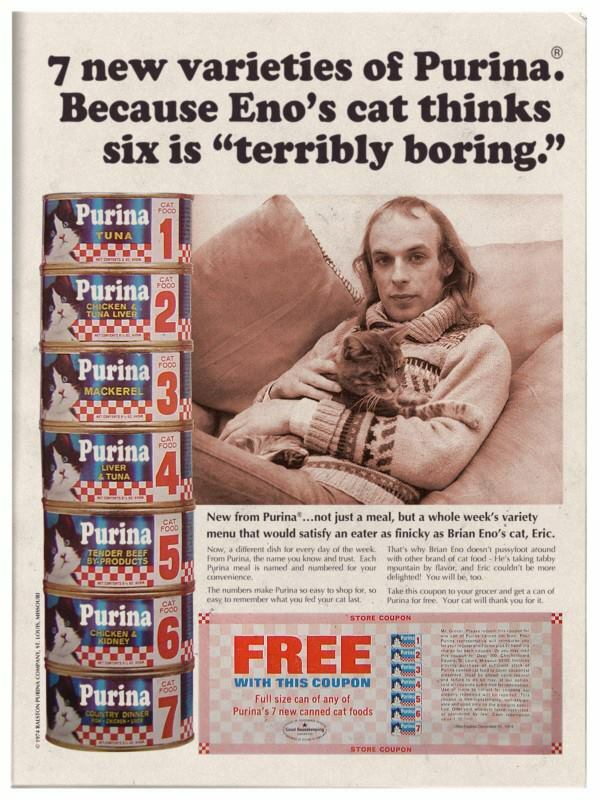 So, Brian Eno is without a doubt the person you need to go to about music. He curated the Brighton Festival in 2010 and I was lucky enough to attend some amazing things from a seemingly humble and passionate person. From an ambient lineage, he has maintained a quality surpassing many, many, many of those who emulate or have been influenced to this very day. Immediately Post On Land, The Shutov Assembly evoked similarites and Apollo Atomospheres… the list goes on and you’ll forgive some gongs. The Ship was a return to call and obviously a beautiful link to On Land but On Sea. Just as I write this, the ambient series has been repressed on Vinyl, from recent Remasters. They have also been released on Half Speed 45RPM represses. Now that is very yummy. my only experience of 45RPM Half Speed Remasters is of the recently released Japan albums and I have to say they sound amazing, intended to do exactly what they say on the tin (drum). But this takes me back to the beginning of this post, why on earth would you want to be getting up and changing the platter over every two tracks as you’ve just drifted into a foggy place where the tide has just cut you off from your record deck? This is absolutely no disrespect to the quality that will be realised, it will be stunning… I Know, but I have beaten myself up about buying this, but I prefer to be undisturbed from drowning On Land…..that’s unless Brian Peter George St John le Baptiste de la Salle Eno is willing to donate one!! !